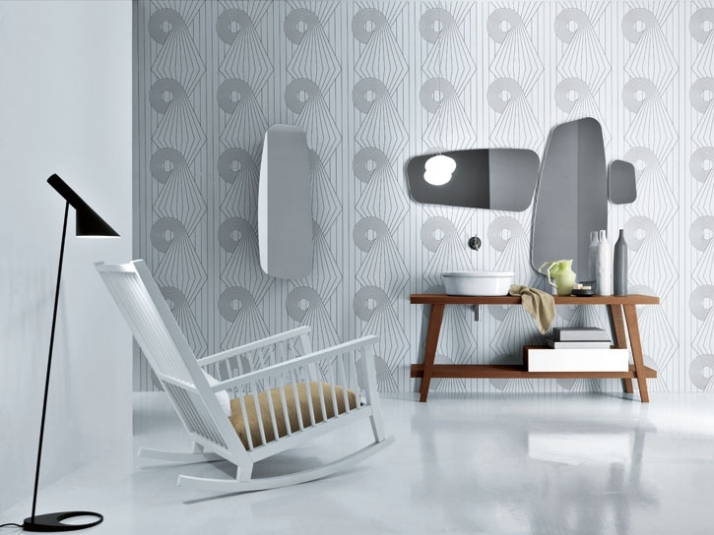 Paola Navone and Michael Schmidt design for Italian bathroom design company Falper. COCO, Menhir, Peace Hotel, George and Scoop are their new collections! Check the quality, originality, harmony and the elegance of their designs @Yatzer.com! 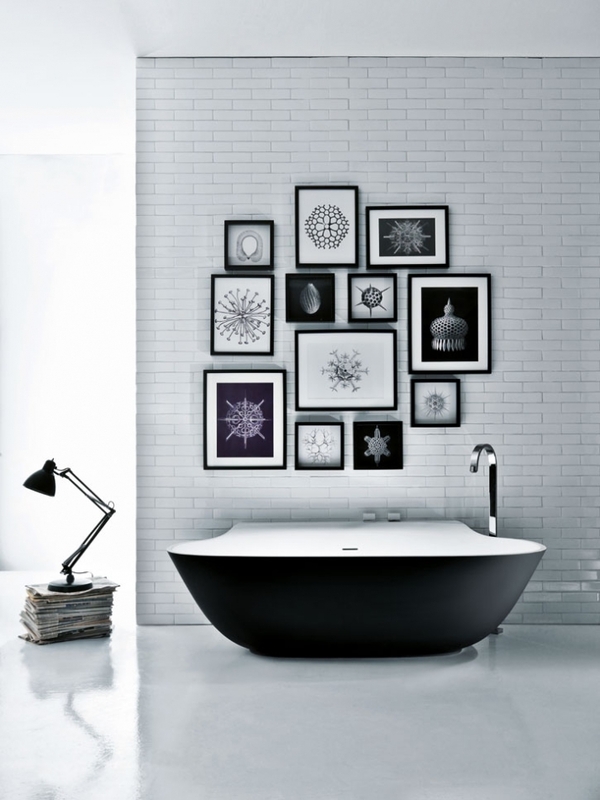 // Unique bathrooms for unique readers! A collection characterised by sophisticated polished, lacquered textures in black and white, clearly inspired by the innovative elegance of legendary Coco Chanel. A collection created by Paola Navone for the woman who recognises unique style, and wishes to surround herself with items giving character to classic and modern environments, giving rise to timeless refinement. 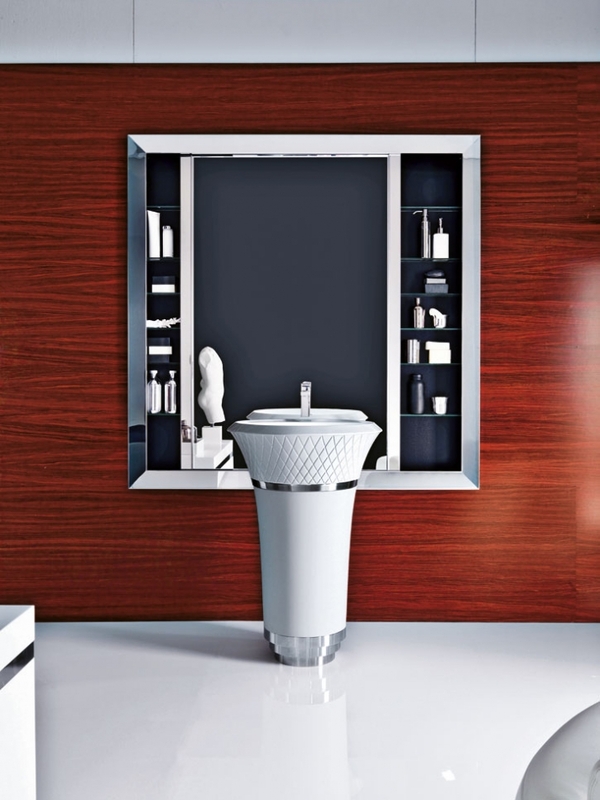 Deliberately retro style the pedestal ceramic washbasin and ground glass oval mirrors. Dimensions respectively 80cm x h100cm, and 160cm x h80cm. Cosmopolitan and informal, the Menhir collection is decidedly different from prior Falper projects in its ability to gather and interpret the aspirations of a young yet demanding public. The three mirrors set in a “megalithic” form inspired this collection’s name. 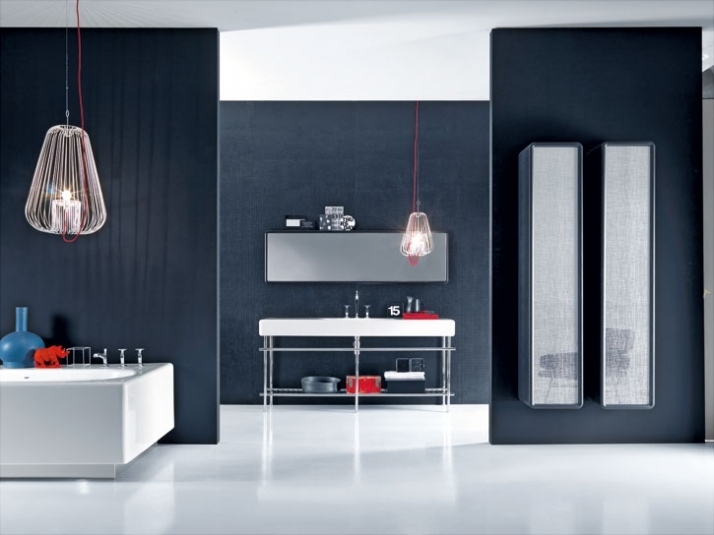 The numerous elements of this line, range from the day washbasin bench in brushed melamine-resin, to the mirrored hanging columns with removable containers, (dimensions 41cm x h115cm or h170cm), and to the lights with fun texture finishings. The Collection bears the unmistakable mark of Paola Navone and synthesizes her personal iconographic heritage, her past and her present in an elegant and harmonious way. Sensual forms, almost calling for a gentle stroke, which evoke the elegant appeal of Shanghai in the 1930's, although it remains in the light of a sophisticated interpretation of the present. A charming design, which rediscovers an exotic life style. Materials full of colour, just as the wood in the ebony finishing maintains its original sensuality and intensifies the harmonious and appealing design. Three centimeter thick multilayer module structure with corner solid wood joints. Available in ebony-oak or glossy white lacquered finish. Doors and drawer fronts in idropan ecological panel with ebony-oak or glossy white, light blue and jade-green lacquered finish. 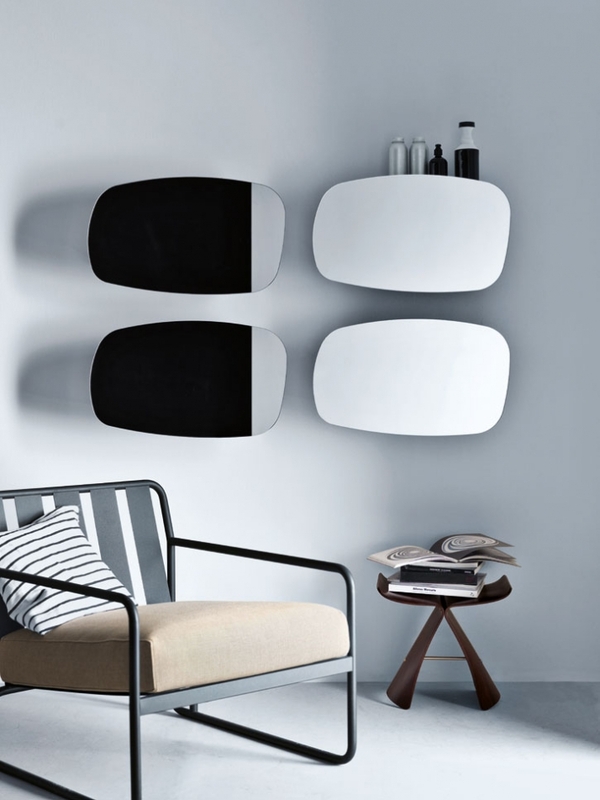 Mirrors edged in solid wood with ebony-oak or glossy white lacquered finish. 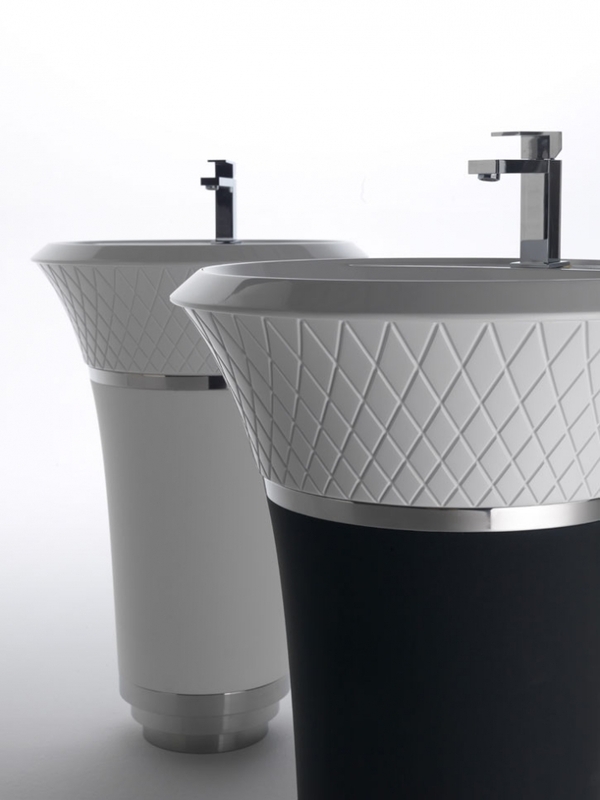 Washbasins in Pietraluce with integrated washbasin and adjustable brackets in steel. Metropolitan atmospheres, embodied objects which are inspired from the maximum evolution of minimalism. 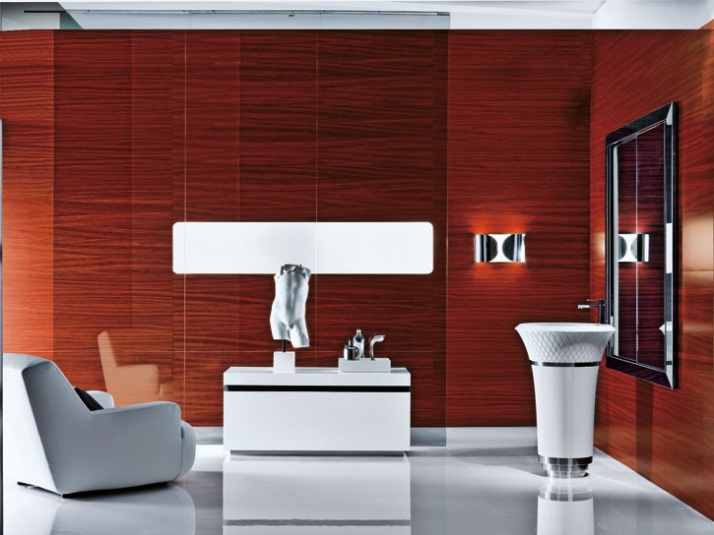 Organic forms that are unique and immediately recognisable, with exceptional finishes and technology. 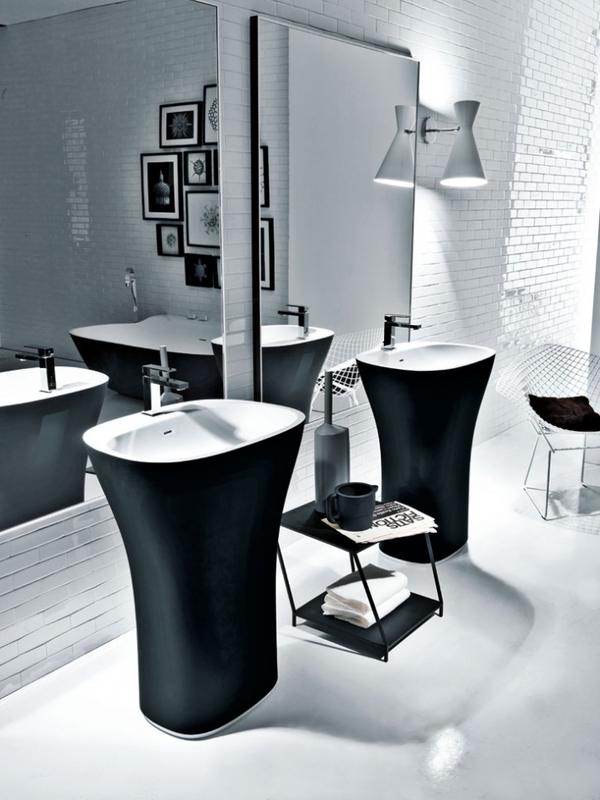 The Scoop bathtub, already awarded with the Red Dot Design Award in 2007, and the floor base basin become seductive sculptures for the modern bathroom. The Scoop elements are made in Cristalplant. Offering a wide range of colours available in copper, cement grey, black, coral red, dusty green and coffee “soft-touch” as well as natural white on the Scoop collection.